The Tempisque river crocodiles have made their way to the tilapia ponds after discovering the delicacy meal. One of the riskiest and strangest jobs in the world has to be in Costa Rica. Imagine yourself getting up in the morning, to head out to go capture crocodiles. Yes, crocodiles. Though it may seem crazy, someone has to do it. 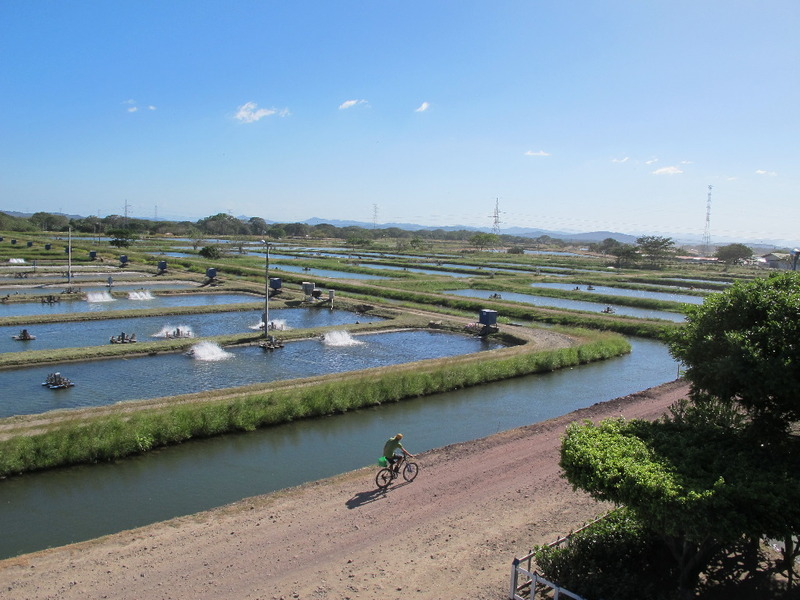 And that job falls to a crew working trapping crocodiles entering the tilapia ponds of the Aqua Corporation in Guanacaste. More than a decade ago, this international company that has been cultivating tilapia in the country since the mid 1980s, had to create the strangest job of “professional crocodile trappers”. 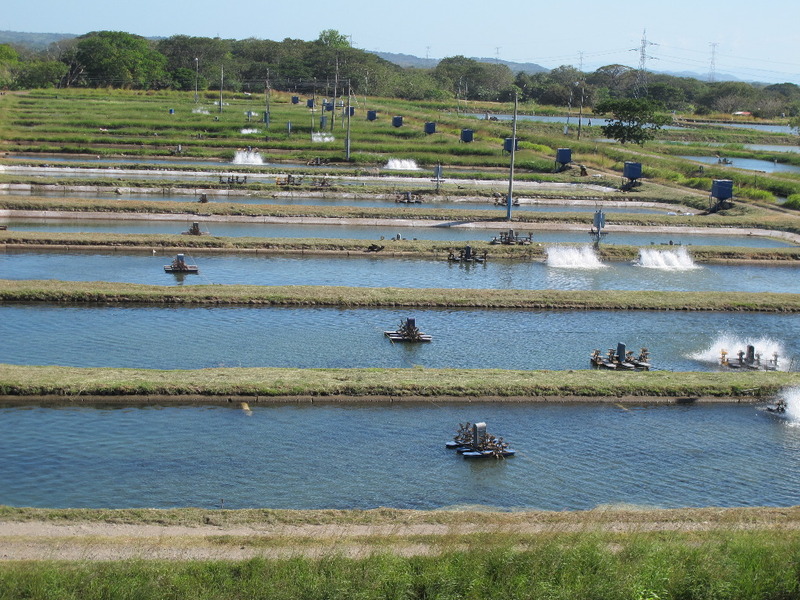 Aqua is based in Cañas, Guanacaste and over the years has become the largest producer of tilapia in the country. 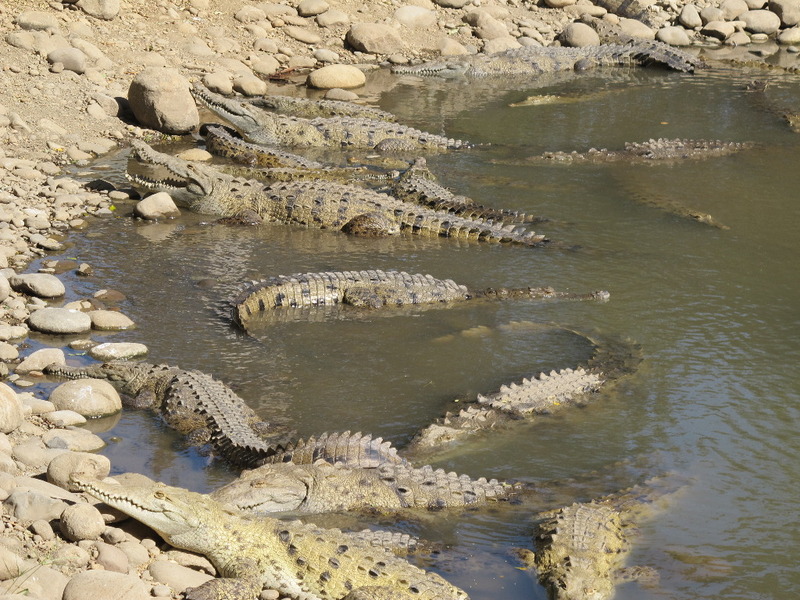 However, the founders of the company never imagined that they would have to deal with the unique situation of a high crocodile population in their area. 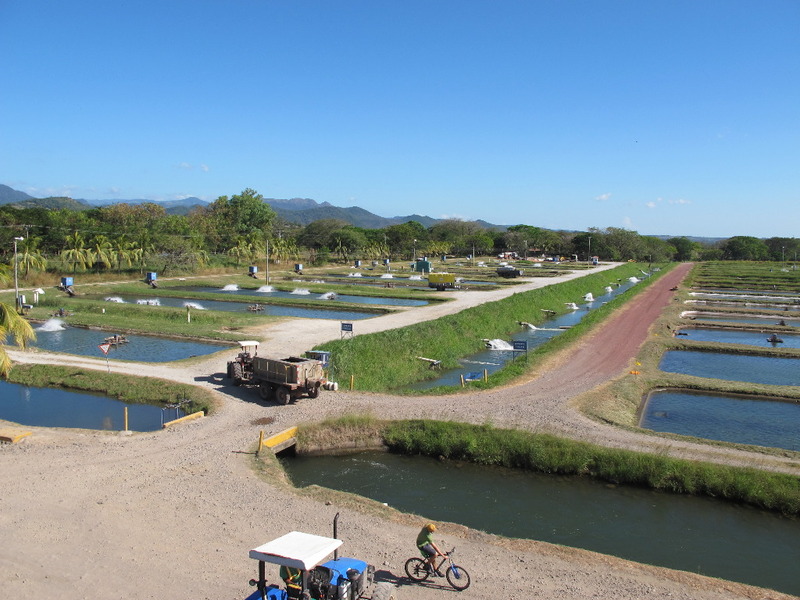 The company operates on some 600 acres of land with over a dozen ponds fed by the Arenal reservoir and irrigation connections to the Tempisque river basin. 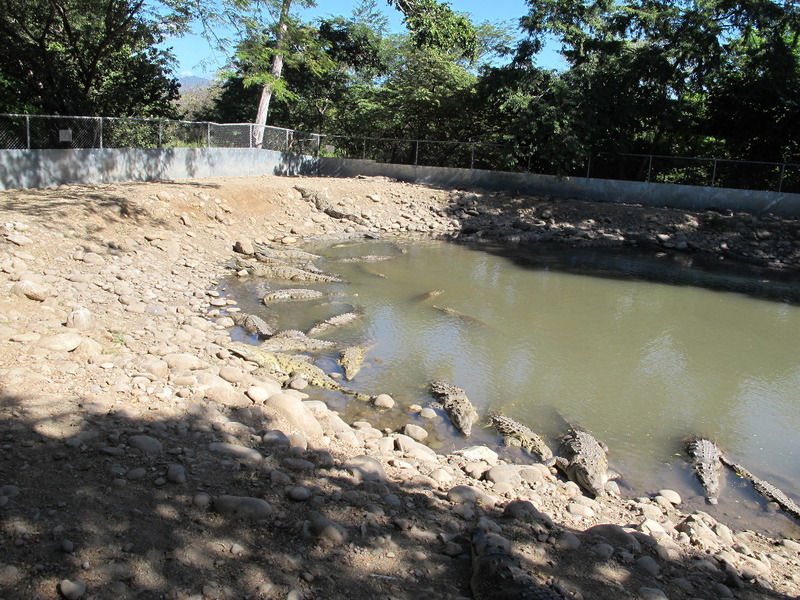 What was not imagined is that the crocodiles would use those same river connections to reach the ponds, becoming a serious security threat to employees and causing a significant reduction in the tilapia production. In short, the Tempisque crocodiles found in the ponds a delicacy of free fish. To stop the crocs from reaching the ponds, the company first tried to set traps in the water channels. That failed. The Tempisque river is the third largest river in Costa Rica and host to one of the largest crocodile populations in Central America. Since hunting was banned more than 15 years ago, the croc population in the Tempisque tripled. Desperate for a solution and concerned about the safety of the animals, the company had to resort to environmental authorities for advice. After a long search, guided by biologists, the best solution was to create a crew of crocodile trappers to capture them and safely remove them from the ponds. As strange as this sounded, the company had to create the special job. The biologist and founder of the Asociación de Especialistas en Cocodrílidos de Centroamérica (Association of Central American Crocodiles Specialists), Juan Rafael Bolaños described in the journal of the Universidad Nacional, Ambientico, a summary of the working dynamics used by the Aqua Corporation to deal with reptiles. Bolaños wrote that it was necessary certify 12 people in capture techniques and handling of crocodiles. One of the curious anecdotes for this group of workers was providing them an insurance policy against risks of the trade, given there was nothing remotely similar or as risky a job in the country. Company employees are constantly on the look out for crocs. When an employee spots a crocodile entering one of the ponds, he/she is to immediately notify the capture crew, who will then seek out the animal and using an extended mesh, trap it. The crocodile is then moved to a corner of the pond, the mesh is unraveled, the animla is placed in a rib-lock tube, its snout tied, eyes covered and move to a temporary home and then, with the help of authorized biologists, released into their habitat. Besides being exhausting, the task is extremely dangerous, testing the courage of these Guanacaste men. Bolaños says the crew can capture up to 15, even 20, crocs a day, the majority more than 2 metres long. This is also a very frustrating job, given that an estimated 73% of the crocodiles released get back to the ponds because they know they now know the way. In addition, crocodiles don’t easily lose their way. 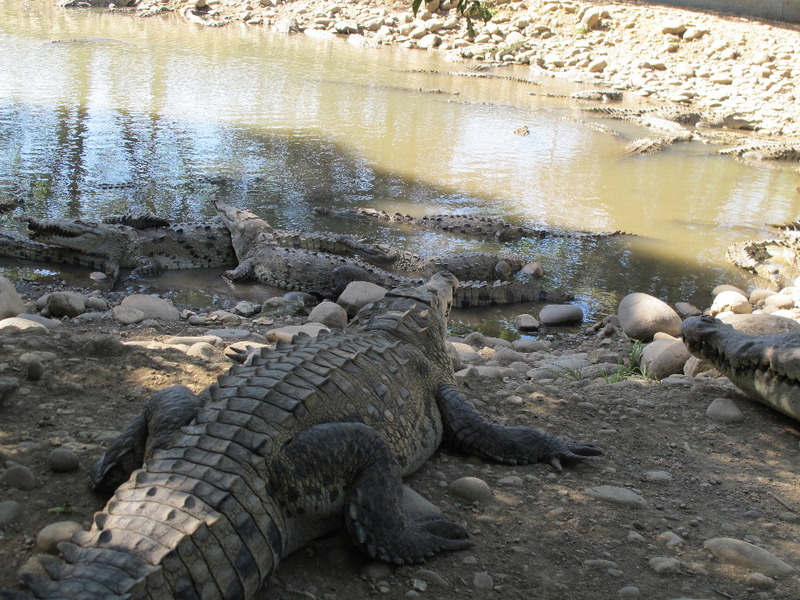 In a 2010 experiment, six crocodiles captured at the Aqua site were released in the Tarcoles river, in the Central Pacific, some 150 kilometres away. Nine months later, three of the crocs were back in the Aqua ponds, a fourth was recaptured 18 months after release. Like it not, the company has had to learn to live with and adapt to this unique feature of Costa Rica, a phenomenon that shows it is possible to create sustainable solutions between industry and nature. But above all, it shows us the courageous spirit of these Guanacastecans (the men of Guanacaste), dedicated to one of the most dangerous and strangest jobs in the world. How much are these men paid? The company did not provide the information and the job description is not listed in the Ministry of Labour job classifications. What do you think of these guys? Would you be up to the challenge of trapping and releasing crocodiles for a living? Use the comments section below or post to our Facebook page your opinion.